For years, Mary’s face was the one Meals on Wheels clients saw when they opened the door on Wednesdays. 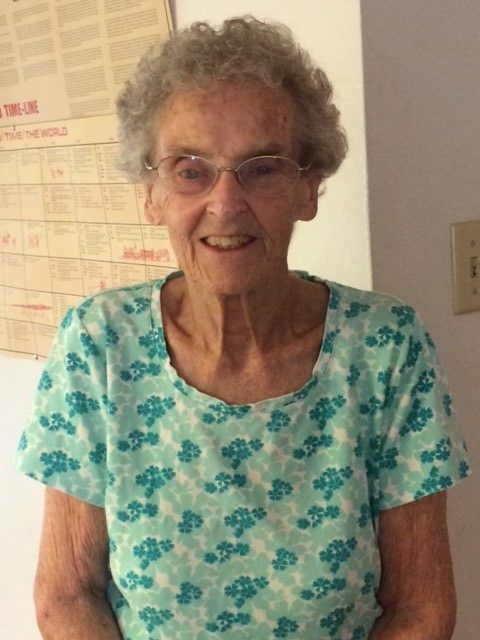 Delivering food to people in need was a passion for Mary, and she developed true friendships over the years from her weekly visits. Her husband, Chuck, also volunteered after he retired from his career as a weatherman for both the military and at civilian airports. But today, Chuck’s failing health means he must rely on Mary for his everyday care. They had a good routine together until this past spring when Mary had to have hip replacement surgery. Moving about the house with a walker was making it difficult for Mary to complete the daily chores, and standing to prepare meals was especially challenging. Even when she “graduated” to a cane, the burden of caring for Chuck and the house was wearing Mary down. Mary and Chuck loved being volunteers for Meals on Wheels when they were able, and now they are so grateful to you for your support that allows them to receive good, nutritious meals during this season of their lives. Thank you for making sure we were there for Mary and Chuck – and for the hundreds of other Albuquerqueans who look forward to opening their doors each day to Meals on Wheels.